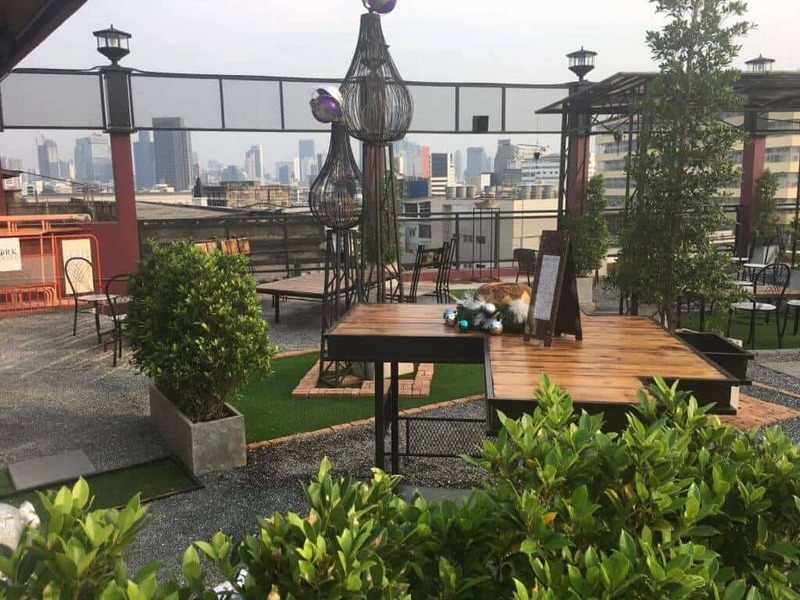 The Roof can be added to the list of rooftop bars and restaurant in Bangkok. You can find the Roof on top of the W22 hotel in the sweating heart of Chinatown. The rooftop location was recently soft-opened. Take the lift to the top floor of the hotel and walk into this nicely decorated garden rooftop. 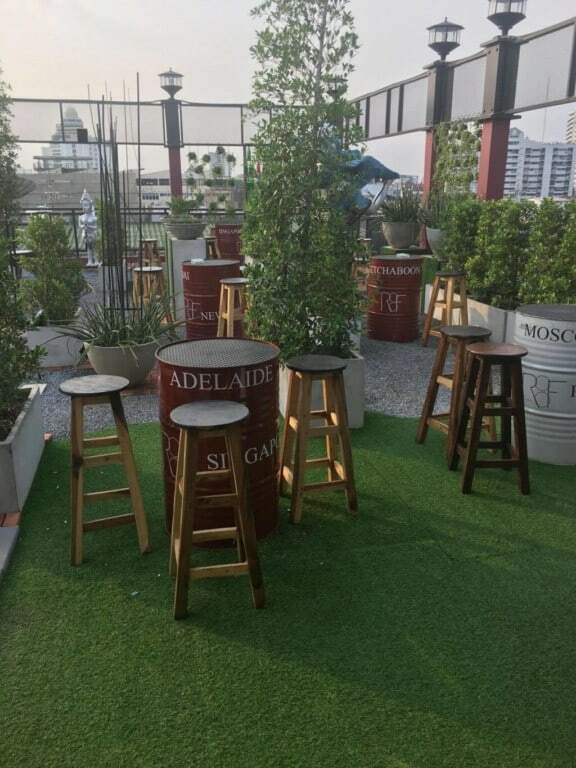 The Roof can be added to the list of rooftop bars and restaurant in Bangkok. You can find the Roof on top of the W22 hotel in the sweating heart of Chinatown. The rooftop location was recently soft-opened. 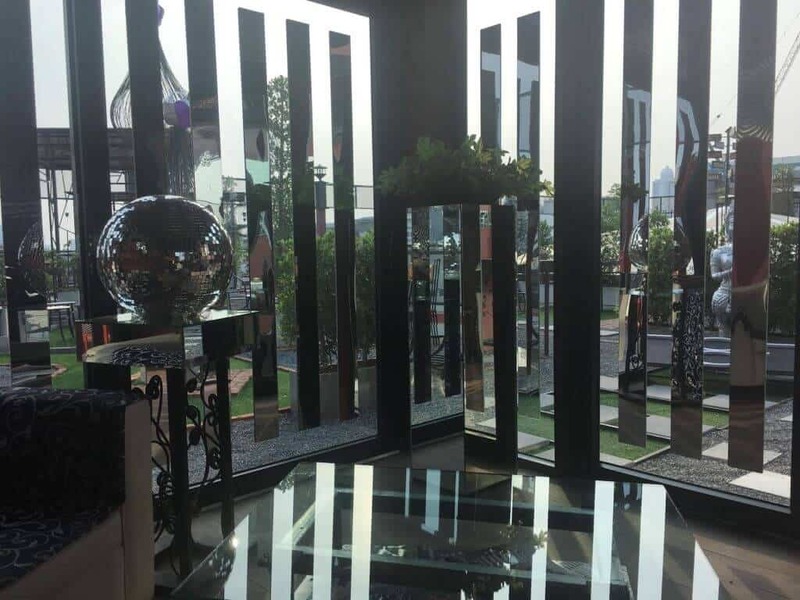 W22 by Burasari is a new property managed under the Burasari group and is a three-star contemporary boutique lifestyle hotel. W22 Hotel is located deep in Chinatown within walking distance from never-sleeping hip bars, restaurants, cafes and other boutiques. The Boutique hotel features a cool, breezy, 7 story garden atrium rooftops. Spacious wood decorated rooms get you to sleep in style. The Roof is managed by Sphynx who also operates the Fork & Cork Restaurants in Bangkok. 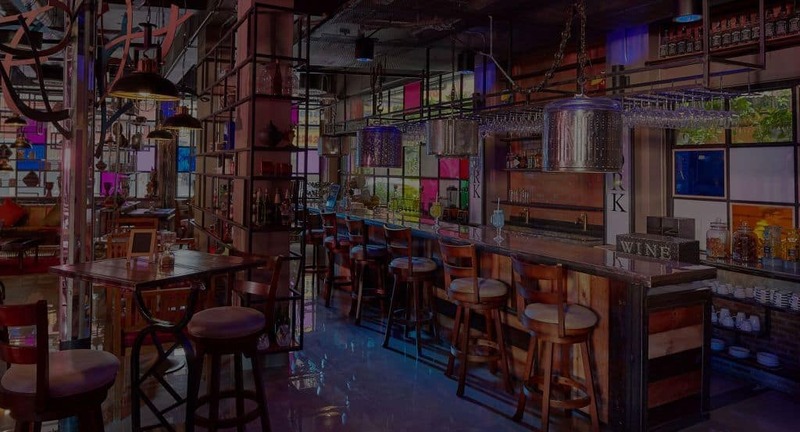 The restaurants usually attract people from the LGBT community as the first Fork and Cork restaurant was established in the gay district of Silom. Do you like to escape a moment from all the busyness on the ground? Take the lift to the top floor of the hotel and walk into this nicely decorated garden. The rooftop offers intimate corners and seating under the sky covering a clean air atmosphere. As the outdoor venue is still partly under discovery for the mass, it wouldn’t be a bad idea going down to Chinatown, do some shopping and end for some lazy hours on the Roof. 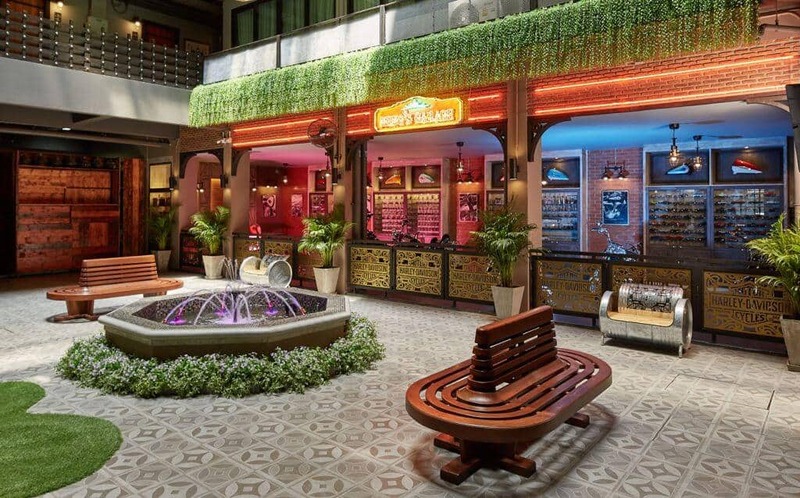 Besides a drink and some casual dining or weekly Barbecues, you can also take some steps down and end up at the Fork & Cork Restaurant on the ground floor in the lobby where you can savour small Thai plates and signature cocktails. 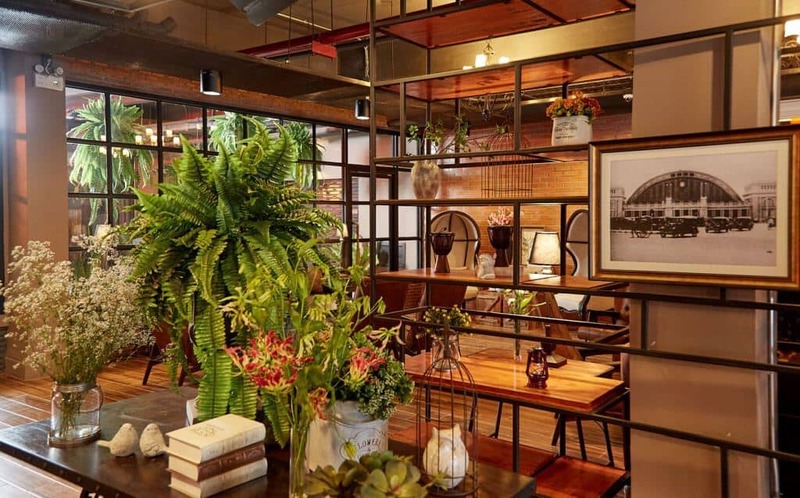 Authentic Thai Food and an excellent selection of Western dishes are served with a warm welcome at Silom’s Fork & Cork, a venue consistently praised for exceptional service in a friendly and ambient setting.